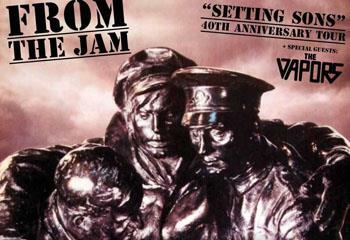 This autumn From the Jam will tour the UK celebrating the 40th Anniversary of The Jam’s 4th studio album ‘Setting Sons’. The critically acclaimed album reached #4 in the UK and was the band’s first album to enter the US charts. Succeeding 'All Mod Cons', the album became a commercial success, earning them their first top ten hit single - 'The Eton Rifles'.